Advertising is necessary when you’re a sports car manufacturer, and winning races is the ultimate sales pitch. It’s hard to beat a front-page photo of a car surrounded by smiles, covered in champagne and ticker tape, and parked under a huge “VICTORY” headline banner. Take the checkered flag often enough, and your brand will become synonymous with success. The Porsche 911’s shape is iconic, and it didn’t get that way by lingering in the background while others took the glory and the podiums. If it’s a race series that requires fenders, chances are that at some point in its history a Porsche 911 has burned the necessary gas to take home the big trophy. While road racing is the current bread and butter of the 911, in the late 1960s and early ’70s the shelves at Stuttgart were growing heavy with rally trophies as well. Dirt, pavement, snow, whatever, the Porsche 911 could win on it. While the 911 is one of the winningest cars in history, privateers deserve much of the credit. The Porsche factory was so busy building its purpose-built racers during the 1960s that they had little interest in fully backing the 911 for competition. Fortunately, those in Stuttgart were savvy enough to recognize that people were winning races in Porsche 911s even without factory help. By giving privateers some factory-conceived upgrade options, Porsche could increase the odds of victory for their customers and the chances of free publicity for the company—it was a win-win situation for all involved. Starting in 1966 with the arrival of the lightweight, performance-tuned 911S, Porsche made Rally Kit packages available for aspiring privateer racers. Teams could pick and choose from a selection of go-fast parts available straight from the manufacturer. The standard Rally Kit provided anti-roll bars, upgraded brake pads and even endurance-minded options like a dead pedal for the driver. Power enhancements in the form of better venturis and jets for the carburetors and a racing exhaust could bump a 160-horsepower stock Porsche 911S to 175 ponies and beyond—all from two liters of displacement. With rally in mind, protective items like stone guards were also available. Thanks to these tweaks, it’s no surprise that in 1967 the Porsche 911 recorded a slew of victories all over the planet in the hands of privateer racers. In 1968, as a result of FIA homologation difficulties and performance potential, Porsche shuffled things around a bit. 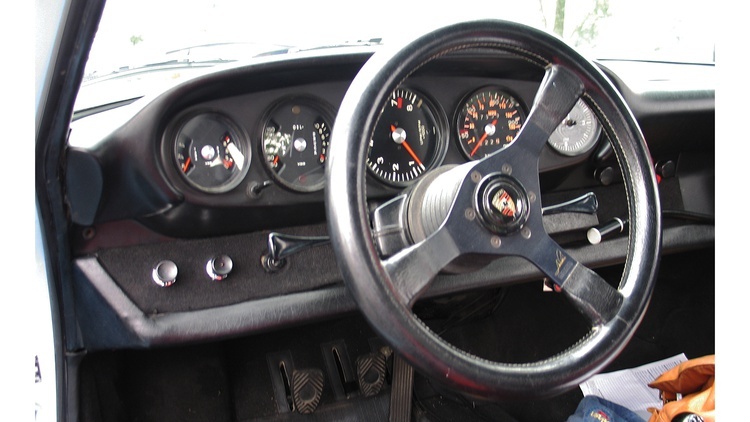 Once the policy-writing pens were down, the Rally Kit could be legally fitted to either of two Porsches, the standard 911L model or the “entry-level” 911T. The 911L was legal for FIA Group 2 Touring competition, where the car made as much as 150 horsepower. As one moved higher up the performance ladder, though, things got confusing: The Porsche 911S and 911T would have been in the same FIA GT Group 3 class, but since the less-equipped 911T weighed 115 pounds less, it became the base for the brand’s other rally effort. 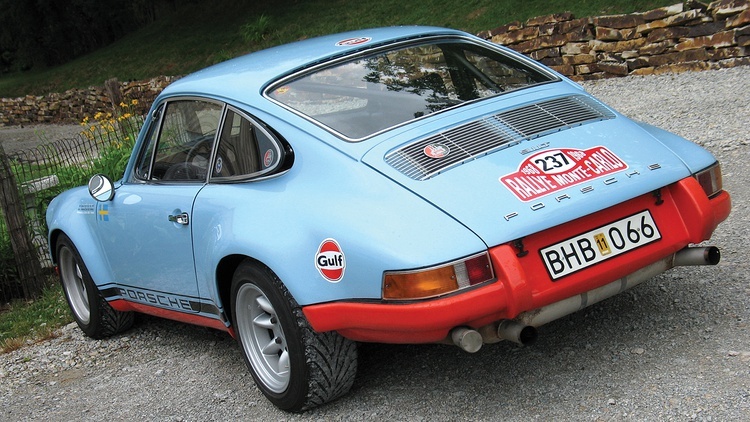 The result was the Porsche 911T Rally Kit, a car now commonly known as the 911T/R. A 160-horse 911S engine was the starting point for power in the 911T/R, and upgrades included Recaro seats, Koni shocks, stronger engine mounts and a racing clutch. In order to reduce mass, no sound deadening was installed. 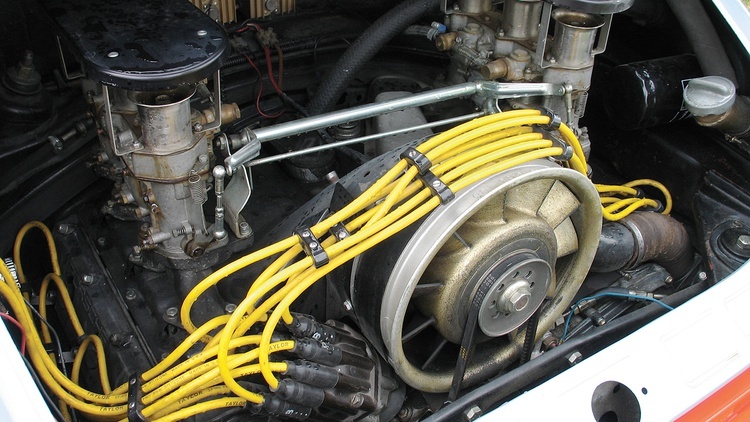 While the upper limit on the 911S engine was about 180 horsepower, certain 911T/Rs were converted to the ferocious twin-plug Porsche 906 engine. This engine used titanium, magnesium and other trick internals to generate a remarkable 230 horsepower from just two liters of displacement. A redline north of 8200 rpm was not uncommon. The Porsche 911 hit the jackpot at the Rallye Monte Carlo in 1968. The team of Vic Elford/David Stone captured the overall victory, and Pauli Toivonen/Martti Tiukkanen placed second overall. Porsche would repeat the overall win at the Monte in 1969 and 1970, adding considerably to the legacy of the early 911. Unlike today’s purpose-built and heavily modified FIA rally machines, the Porsche 911T/R had much in common with its road-going counterparts. An analog rally computer is one of this particular car’s few interior modifications, and is a neat throwback to its competition days. A snarling Porsche 906 engine and short gearing add up to ferocious acceleration. While the winning car always goes down in history, there were many other cars in the 1968 Monte Carlo field. Their journey was no less exciting, even if they did take a little bit longer to complete it. One such entry was this Porsche 911T/R, entered by Scania Vabis and driven by the team of Ake Andersson and Sven-Olof Svedberg. They finished 12th overall; not headline news, but still pretty special stuff, especially to a Porsche enthusiast. The head cheerleader for this particular 911 is its current owner, Stephen Childs. When Childs first saw the car, it had been in the possession of a British man for more than a decade. Childs convinced the owner that he wasn’t just after profit, and that he would hold on to the car and celebrate its history rather than turn around and sell it. The owner was convinced of his sincerity, and Childs took possession of the car in 2000. Like many race cars, this one may have been pushing the envelope of class legality a bit beyond the intended limits. Childs had a chance to speak with Par Hageman, the car’s chief mechanic from its rally days, and he learned firsthand a few of the changes that had been made. The renegade modifications don’t end there. “They welded some bits and pieces to the front shocks to make them adjustable, which was totally illegal, but they’re right here. All you had to do was look at them,” Childs explains. Perhaps it’s best that the car didn’t grab first place, or it might have fallen under more serious scrutiny and been bumped to the back of the pack. While the interior, gearbox and engine are just as they were for the 1968 Monte Carlo rally, this Porsche continued to evolve after the conclusion of the event. 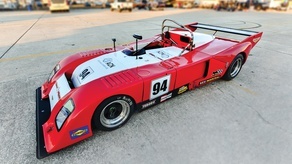 It received several paint jobs and a number of upgrades as it jumped to different events and classes through the years. “The part that changed in 1971 was the four fenders,” Childs explains. “It now has—basically—RSR wide fenders, which allows for pretty big wheels. 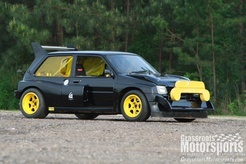 In the two-liter Group B class in Europe, you’re allowed to modify the wheels. It is no longer a narrow-body car.” The car was painted in its current Gulf livery for Group B competition. Longtime Porsche tuner Alois Ruf believes that this car’s wide fenders are early factory prototypes. 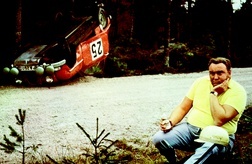 The Porsche was converted to wide-body specs for Group B rally competition in the early 1970s. The number panel from the Rallye Monte Carlo is proudly displayed, letting all know of its competition roots. The car finished 12th overall at the 1968 Monte. True to his word, Childs has no interest in selling the car for a profit, and he still gets behind the wheel on a regular basis to enjoy this very quick early 911. A dash of maintenance here and there has kept the Porsche running strong. 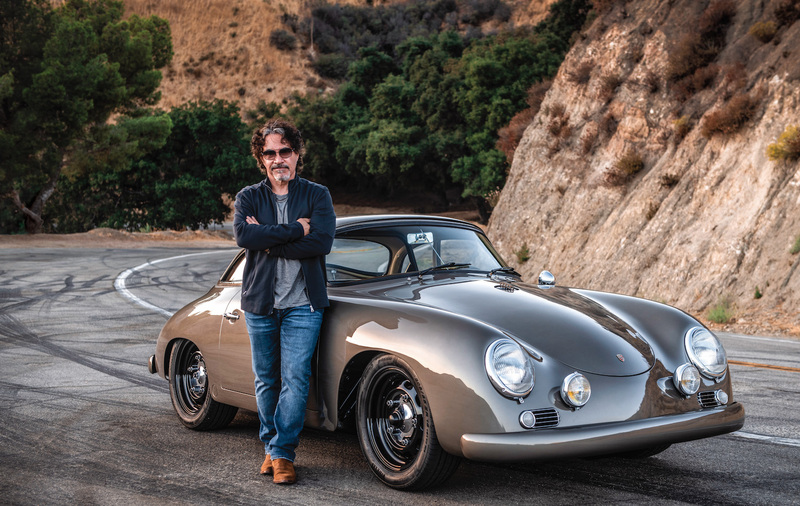 Harvey Weidman of Weidman’s Wheels in Oroville, Calif., a well-respected name when it comes to refinishing Porsche wheels, handled that part of the restoration. 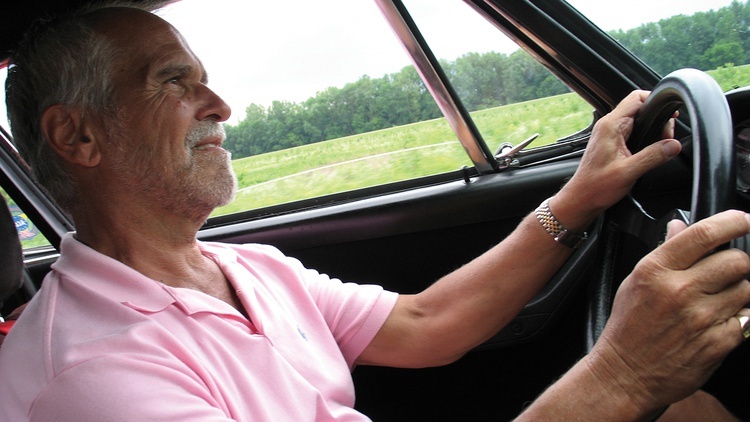 “He’s done every concours-type restoration you can imagine, and he used to be a factory Porsche guy. He knew exactly what to do with them,” Childs says proudly. In its well-preserved and very mobile state, this 911T/R is a delightful blast from the past inside and out. The stripped-down interior and still-operational analog rally computer are a nod to its functional past. The Gulf paint scheme and accurate Rallye Monte Carlo livery honor its historical significance. And its snarling, highly tweaked flat-six propels it with an urgency that knows no historical bounds.